A few days ago writingbolt suggested to redesign the cover of a good book who looks worse than the story deserves. I loved the idea and couldn’t wait to get started, I chose to redesign the dutch book ‘Julia’s reis’ (Julia’s Journey) by Finn Zetterholm. 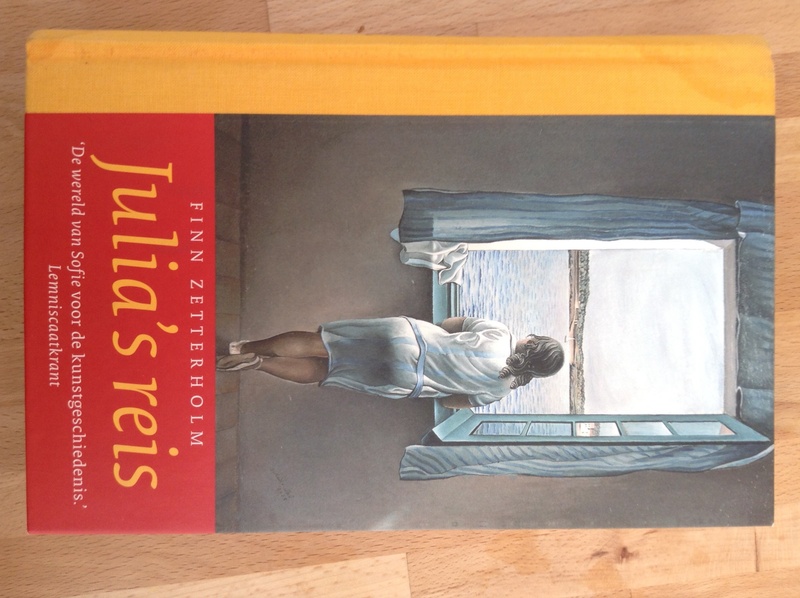 Julia’s reis was my favorite book when I was eleven, it is a kind of educational book about art (But not the boring kind). One of my favorite things about the book is that Julia gets to meet and talk with many famous artists. 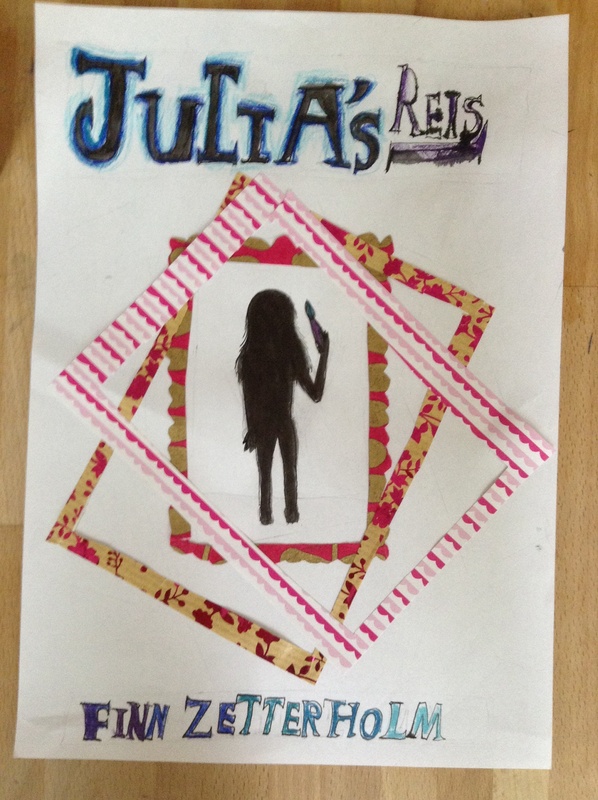 The book is about a girl, Julia, who loves art. When she goes to the museum with her grandpa one day, she accidentally touches a painting and goes 400 years back in time, to when the painting was made. I don’t like the cover because it makes the book look extremely boring and not exciting (and I really do not like yellow and red together). 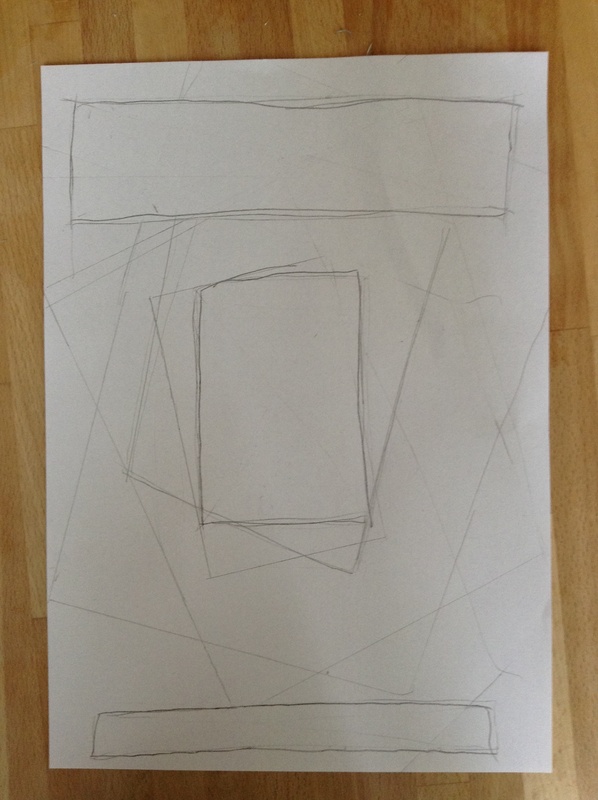 First I sketched some lines, just to decide the proportions. Then I dipped my crown pen in some ink to write the title and draw a silhouette. After that I Colored the drawing in with blue pencils. Let me know in the comments which one you liked best and if I should re-create more book covers.